UCAN’s provides a Therapeutic Youth Home along with a core of counseling services for families suffering separation, violence and abuse. UCAN’s Diermeier Therapeutic Youth Home provides a structured, stable and therapeutic living arrangement for youth in the care of the Illinois Department of Children and Family Services. The home works primarily with children and young adults ages 7-18 who have histories of severe trauma, abuse and neglect. Because of their past experience, the clients are in need of a highly structured, 24-hour-a-day treatment facility to address the behavioral and emotional difficulties that surround their previous exposure to trauma and abuse. Clients in the Diermeier Therapeutic Youth Home are offered a wide variety of individualized and group treatment services to aid them in healing and gaining the social and coping skills to graduate from treatment and move to a less restrictive setting. In summer 2015, youth served by UCAN moved into this new, state-of-the-art facility n Chicago’s North Lawndale community. The modern 54,000 square-foot facility that is located on the organization’s new campus at Fillmore and Central Park avenues and provides a safe place for our youth to heal. For more information, please email us at info@ucanchicago.org. 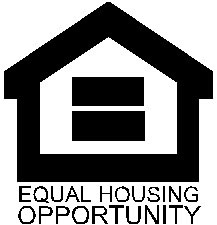 UCAN conducts business in accordance with the Federal Fair Housing Law. UCAN’s Counseling and Youth Development Services provide outpatient therapy to people who have experienced trauma. Working with youth, adults and families in a variety of settings, UCAN’s culturally diverse counselors and youth development specialists help clients address such complex issues as abuse, neglect, behavioral problems, separation and loss. We create individualized treatment plans to meet clients’ needs. • Family Separation / Disruption: Specialized therapy services to individuals and families affected by the trauma of separation and loss (e.g., loss of custody, death of a parent or child, divorce). • Family / Community Violence: Individual, group, couples and family therapy. • Sexual Abuse: Intervention, education and support to people who have suffered sexual abuse, for other family members impacted by the abuse, and for those who have committed sexual abuse. The UCAN Counseling and Youth Development Services program serves all customers regardless of inability to pay. Discounts for essential services are offered based on family size and income. For more information about our services or to make a referral, please contact our intake coordinator at ucancounseling@ucanchicago.org or 773-429-9346. QUEST is a 12-week group designed to provide LGBTQ-identified adolescents and young adults with therapeutic support through education, counseling, and art therapy. This group assists youth in their process of self-development through identity exploration, coping and communication skills, development of healthy support systems, and goal setting and achievement. Group sessions are 60-90 minutes in duration and can take place at various UCAN offices or other locations based on need. The group is open to individuals between the ages of 13 and 24. For more information, please contact Michele Grimes, Clinical Supervisor, via email at Michele.Grimes@ucanchicago.org or by phone at 773.279.3730. For more information, please contact Lee Roe at (773) 429-9379 or leodis.roe@ucanchicago.org. For more information, please contact Director of Youth Development Services Lee Roe at (773) 429-9379 or leodis.roe@ucanchicago.org.